You own a business and you want to protect it. 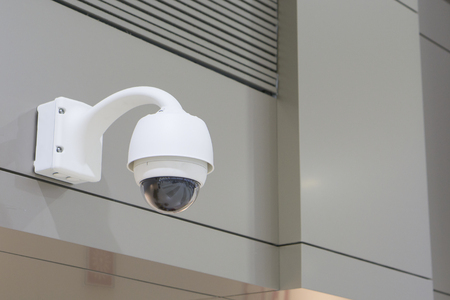 How can you determine the right security system for your business? First off, consider this: you’ve got a physical place to protect from “breaking and entering,” and, these days, you probably have a digital place (a website, online files, etc.) that you don’t want hacked. Obviously, these two “places” require different approaches– but know one thing: it’s important to protect both physical and digital assets from thieves and others who are up to no good. Next, what are your plans for the future? Do you plan on moving to a different location? Are you working with a contractor who is building an addition on to the building? It’s good to incorporate your business plans for growth into your overall security strategy. Also, make a list of all the potential threats and/or security problems you could encounter with your business. This is a really good idea, because when you share it with a security system company, they’ll know how to deal with certain types of threats. Your business is unique. Therefore, your security system is probably going to be customized exactly to your needs. Keep that in mind when talking to potential security system sellers. Make a list of your wants and needs and then go over that list with a security company. See if they have the capacity to meet your needs at an affordable price and in a timely manner. When considering security systems and companies to work with, check their reputation. If there are referrals/reviews from customers, read them. Ask about their experiences with systems– how well have they worked for them? Finally, with the security system you do end up choosing, make sure there’s ongoing support available down the line.